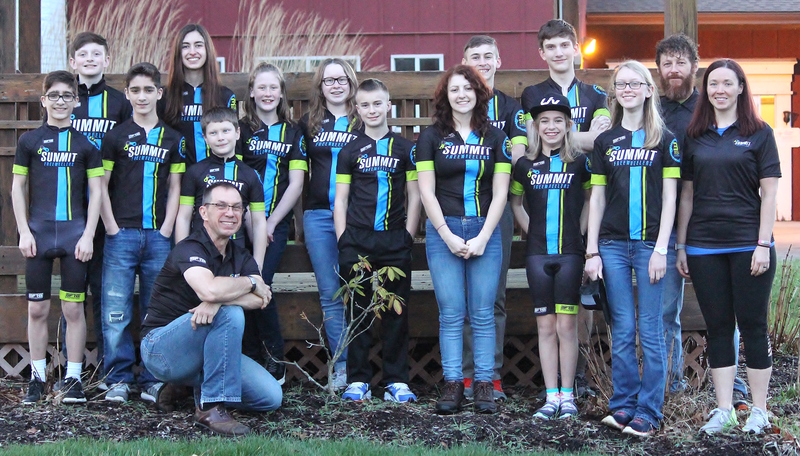 Summit Junior Cycling is a Juniors/U23 development racing team that is registered under the Akron, Ohio based Summit Freewheelers. The Summit Freewheelers have been integral part in providing support for junior and youth cycling since their establishment in 1987. The mission of Summit Junior Cycling is to provide a mechanism to cultivate and develop Junior and Under 23 level cyclists. Our team goals are designed to promote individual and team growth. We hope to achieve our goals while setting examples of sportsmanship at the local, regional, and national level. The following is a list of our overall team goals. Field local and state level events with Summit Freewheelers Juniors Team members. Gain club visibility by supporting athletes with the intention of racing at the national level. Help Summit Freewheelers Juniors Team athletes make the jump to collegiate level cycling. Our key visions are to develop Summit Junior Cycling athletes and provide them with the tools they need to succeed in cycling. This will be accomplished by providing the following support structure. Provide educational opportunities designed to further member’s knowledge of a healthy competitive lifestyle. Provide access to coaches and approved mentors. Provide a framework for athletes to train, travel and race.